The founder of The TranTien Foundation and a plastic surgeon in private practice in Santa Clarita, California, Dr Sum Tran was first trained at the BARSKY UNIT, Cho Ray Hospital Saigon, Vietnam in the early 1970’s. This Unit was established by Dr Arthur Barsky and his Children’s Medical Relief International organization to treat Vietnamese children with birth defects and war injuries, and to train Vietnamese surgeons in plastic /reconstructive surgery. In addition to this initial training at the Barsky Unit, Dr Sum Tran, once resettled in the U.S as a refugee in 1975, had further training in plastic surgery at The Mount Sinai Medical Center in New York. 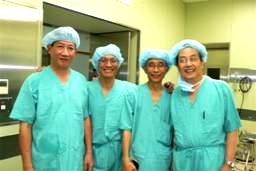 In March 2008, Dr. Sum Tran and Dr Lester Silver, the former Director of The Barsky Unit and currently Chief of the Plastic Surgery Division of the Mount Sinai Medical Center in New York, lead a group of 8 plastic surgeons on a charity trip to Hue, Vietnam. The Mount Sinai team then understood the complexities of the current Vietnamese health care system and the significance of the people’s difficulties in accessing care, especially those living in Central Vietnam and Hue. The Vietnam economy is growing and progress in health care is noticeable in Hanoi and Saigon, but other areas of Vietnam, including The Central Vietnam region (Hue) are often left behind. As a result, Mount Sinai team recognized the extent of the need for its services and begin to formulate Project Hue as an inspiration and a challenge. This project was planned as a continuation of the vision initiated in 1960 by Dr. Arthur Barsky and to meet the acute need for advanced reconstructive plastic surgery. The purpose is to ease the Vietnamese people’s suffering from injuries, burns, trauma, diseases or birth defects that have left them with severe physical deformities, and psychological scars of disfigurement and marked disabilities. Reconstructive plastic surgery will help them to build a new life as productive and active members of the community. Project Hue will operate mainly in Hue, central Vietnam with the collaboration of Tue Tinh Duong Buddhist health care system to reach the poorest of the poor who do not have the means to travel and access services in Saigon or Hanoi. 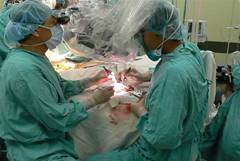 To train Vietnamese surgeons in reconstructive surgery techniques with emphasis on safety, effectiveness and efficiency. To equip local hospitals with the most updated instruments and tools needed for a) conducting surgical procedures, and b) for operating a reception center that could deliver apprtopriate care before and after surgery. 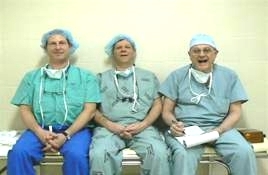 To train local surgeons in specific skills and techniques by conducting training sessions, seminars and workshops with qualified American surgeons. To assist the poor local patients in removing the barriers they may face when trying to access care and securing a reconstructive surgical treatment. Anesthesia: The anesthesiologist is a key member of the surgical team, especially with complex reconstructive surgical cases that of ten have airway issues. Our anesthesiologist will work side by side with the local anesthesiologists to update their knowledge of newer techniques in dealing with these anesthesia airway issues during and after surgery. Nursing: There are special care issues regarding the preoperative preparation and postoperative care of the reconstructive plastic surgery patient. Our team nurse will be able to teach the local nurses the special care requirements for our patients. Speech and Language Therapy: This is specifically for patients who have had cleft palate and related surgical procedures. Since the goal of cleft palate surgery is to have as near normal speech as possible, it is necessary to have a speech-language pathologist with proficiency in Vietnamese to accompany our team on our surgical missions. Speech therapy graduate students will be recruited locally to work closely with our speech pathologist on the design and implementation of an appropriate curriculum for the cleft patients. These students and the family of the children will be trained to assist those children with ongoing home speech assistance. Occupational and Physical Therapy: A rehabilitation program for post reconstructive surgery of the hand and upper extremities is important to have the optimal result for the patient. Our hand therapist will design a specific rehabilitative program for the patient and also supervise the patient stages of recovery, thus helping to restore maximal function, allowing the patient to return to a useful occupation. Psycho-Social Programs: Will help the disfigured, disabled and injured patients to adjust back to their family and work environment. In March 2008 trip, we received not only assistance from local Buddhist charitable organizations but also the Red Cross, Boy Scouts and local healthcare institutions. Thanks to that collaboration we were able to recruit over 200 patients from remote poor areas. These patients would benefit the most from our modern medicine and voluntary efforts: 49 adults and 24 children underwent surgery at the Hue City Hospital, the Hue University Hospital, and Hue Central Hospital. Complicated and advanced reconstructive surgeries were performed. These included microsurgical free flaps, brachial plexus palsy, complicated hand problems, devastating post-burn contractions, complex cleft lip-palate-nose /craniofacial deformities and severe soft tissue defects. In addition to operations for helping local indigent patients, there were several difficult cases which served as an opportunity for hands-on training for local doctors. We were able to provide training for more than 100 Vietnamese surgeons in both hands-on sessions in the operating room and in a symposium. With the cooperation of the Hanoi and Hue College of Medicine and Pharmacy, and Hue Central Hospital, a two-day seminar in reconstructive plastic and hand surgery was organized with the participation of more than 70 doctors from throughout Vietnam, from Saigon to Hanoi. “The surgical techniques of reconstructive surgery demonstrated by the Mount Sinai team are very advanced. This transfer of technology is a significant step toward better patient care, and the development of the health care system in Vietnam which is unfortunately 10 years behind”.